These are the words of a young entrepreneur. A man with a mission, to empower today�s youth and the senior citizen alike with an income plan which no MNC or equity company can provide. 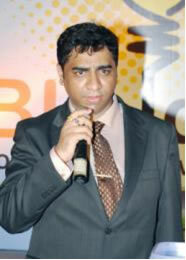 Meet Mr. Sujit Jadhav , Managing Director of Biz Idea - A go-getter with a positive attitude. He always connects with varied people and guides them for their betterment. A staunch believer in Karma, he believes that he needs to give back to the society the returns the way it has given him success. Hence, he wants to do a lot of activities for the upbringing of the masses. A kind hearted soul, a happy go lucky person who never let an opportunity to excel go by. He always had plans to become an entrepreneur. But, had dreams of venturing into a path where any dare devil will dread to tread! He got fascinated by the MLM business. The giants like Amway, Modi care, RMP. Forever Living etc etc. But the binary system was a tough cookie to crack. So, while working on similar system, he hit upon an excellent idea. A biggest threat to the MLM industry itself is to bring in new members who in turn will get more members and the chain grows. The primary person who is at the head of the tree gets rewarded every time the tail grows. Thus, the joinee has to ensure more and more people join the business and thereby get an income which multiplies and grows. This business model helps the individual, his members who join him and the corporate which is the back bone! But, the one who does not bring in at least 4 persons under him and moreover if nobody under him works then he does not stand to gain. His idea of becoming a self employed person takes a severe beating. So, brilliant that he is, Sujit thought upon a Biz idea! The same name he has given to his company. This new idea is very simple. Sujit will enroll a new member for a small sum and will not ask the person to bring in new members. He will ask the member to sit idle for 10 months. Instead he and his team will work on adding new members to the new person�s chain, what is called a down line in this business. The new member has to wait for 45 days, by then Sujit and his team has ensured a sizeable team under his name. The payout starts on the 46th day of his joining date. The amount is transferred to the joiner�s account. He gets this amount for a full ten months without any efforts. He can invest this amount and sit pretty at home if he is a senior citizen, or if he is an employee elsewhere, concentrate on his work. Again, if the candidate is ambitious, has energy, inclination to engage and succeed further in this field, he can go on making members, which will guarantee him more income. How is this idea for a non-brainer? Sujit, You are one of the successful entrepreneurs among Mahrashtrians in Mumbai today, how do you find this? I am proud to be a successful entrepreneur. But, I am worried about the fact is, it imperative to stay there for long. It is not an easy task. Consistency is very important. I would like to see that this business grows and grows and be the livelihood of many of my Indian brethren. Donald, for that matter every Indian is my customer. Any one, right from the age of 18 years with sound maturity to 70 years of age. To what extent a new joinee can earn by being a part of your team? .Biz Idea per se is not a money making machine. It is a money making idea. I would like to stress on the fact that Biz idea is not a business where you get ROI. It is a concept by which you can earn extra income. The concept is, which I call it as a reverse motivational process. If you ask someone to put in hard work, they will seldom do so. At Biz idea, we motivate them to work. There is no limit as to how much a person can earn. It is a billion dollar idea which I thought can be workable and pay rich dividends to the deserving candidates. Tell me about your beginnings? How did you start this company? I was working with an MNC. I was being paid a fixed big salary. But, I was not satisfied. Today, what does an average person need? He needs money to live a satisfied living. They need financial security for stability in life. I started the business just like that There was no plan as such. I hit upon a brilliant idea. That�s why I have named my company �Biz Idea�. While working with multi-level marketing companies. I was very aggressive on the field. But, I was not getting people who match my enthusiasm. The difficulty people were facing was to enroll new members. They were not able to convince people to join this MLM or Multi Level Marketing business or were afraid to sell the idea for fear of rejection! The people who willingly accept this MLM mode of business are around 1% of the total members. They are the people who make money out of this business model. Rest all are strugglers who join, work for a while and then quit. I thought about an idea that 1% of the populace can make money, then why can�t the others should not make money. I wanted to get these people to taste success and make a happy, honorable living. I created a system where my company will make members for them and in turn they will pay me a nominal sum. When people started realizing that they are getting more and more amount of returns, they actually started working hard and they are surprised about their own achievements. This way my concept became a big time income earning tool for them. The non-performers actually become great performers. That is what Biz Idea is all about. Was it difficult in the beginning to enroll members? It was difficult before I started Biz Idea. But, after I got the idea rolling, there were many takers. It was very easy to convince people. I started telling them not to work and you will get a fixed income. They embraced the idea and went on investing time and money more and more. Everyone needs an extra income, but with less input, efforts. So through Biz Idea I convinced them and sold this concept! What are your plans to expand the business, if I may ask? I am planning to give out franchises all across India. I have four branches in Mumbai alone. I have franchisees in Pune, Surat, Agra, Bharatpur, Delhi & Bangalore. What is the contribution of your team members in your success? I have a partner in this business. His name is Mr. Hemant Maurya. He is an aeronautical engineer by profession. He was not convinced earlier about this concept, but when he realized and saw the acceptance of people he was totally convinced. 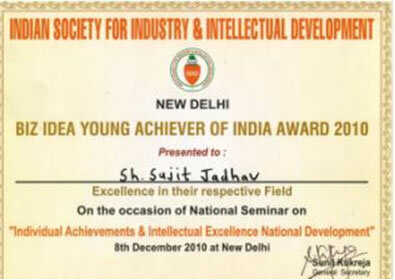 Because of his involvement and both of our hard work which has helped us to attain the pinnacles of success. The joint efforts of both of us have made Biz Idea what it is today! What are your words of advice to new members who join your company? My piece of advice to new joinees is to buy a service or product from me. If they are satisfied, then refer other people to me. It is quite natural. More over word of mouth is very effective! What are your growth plans? Any plans to work for the betterment of the society? I would like to give back to the society abundantly. I have plans to be an entrepreneur and roll out many diversified businesses. I would like to make forays into Infrastructure, Housing development, manufacturing sector. I would like to float a multi dimensional company. I have already floated Maxwell Fin Tech Services Private Limited. This company is into Sale / Purchase of all types of products /Services which are uniquely distinct and are promoted through Network Marketing all over India and International market. Maxwell has made active forays in Infrastructure development, Construction business, Organic farming etc. Maxwell is also a sub-broker of Anagram Capital & IB (Introducing Broker) of XTB Forex Trading. I shall see the progress and expand the company. What is the feedback from senior citizens and the youth alike? For the senior citizens, it is like a life saving oxygen. They would require such additional income in their old age. For the youth/working class it is an additional income to realize their dreams. At Biz Idea they have to make one time investment. That�s all. Once they start getting more and more income, then sky is the limit. They will be self motivated to put in extra efforts and money as the returns are directly proportional to their efforts. What are your plans for the youth? I am amused at the alarming rate the kids of today respond to electronic gadgets. Take for example, a simple device like a mobile phone. Every two year old kid knows how to operate or play with a cell phone. They are today the masters of any electronic toy or whatever you call it. Even the kids are fiddling with computers. They know how to work on paint brush software. This observation of mine strengthens the case of youth. They are pretty advanced, as they are breath-neckingly travelling in jet speed to scale the heights of success. Always the situation is, follow your peers. I would like to call upon this youth to think out of the box. To dream of new ventures. I request every Indian young and old alike to think in a different perspective. To work towards a new future! The young entrepreneur need not follow in hi Father or Grand father�s footsteps. Be Brave. Come out of the closet. Accept the new challenges the world has thrown at you. You will scale greater heights. What is your advice to the young turks? Say, the young breed who has just completed a year in a new job? I would like to advise the young brigade that they should ask questions to themselves, as to they have joined an organization for what purpose? Just for compulsion or have any solid foundation forth future. What I believe is a person can be successful if only he knows and I determined to become what he wants to become. By succumbing to pressure of his parents and elders alike he or she should not embrace any career. The person should decide what he wants to do and go ahead . Then only the person will taste success. Thank you Sujit, it was great pleasure talking to you. Wish you all the best in your endeavor. Thanks and most welcome .Donald. 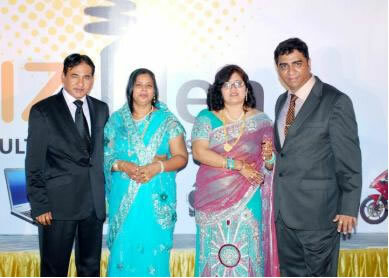 Bizidea has its office located in mumbai and all over india. They started their co in 2010. They introduced a scheme (advertised in news papers) invest Rs.6500 and you will receive 5000/month for a year.later in october they introduced another scheme invest Rs.7200 and you will receive 5000/month.Third scheme was introduced in jan2011 invest Rs12000 you will receive Rs 3000/month.Payment starts after 45days of investing. I invested in first scheme took 10 ids in july.my payment started in september.I was payed till december then the cheques started to bounce back . I had also invested in the second and third schemes no payments are done.For second scheme only one month payment was received for month of december. Payments were receved after a deduction of 155 TDS.TDS receipts were not given. Biz idea hosted grand program in The retreat in Malad to attaract other investors.In the program it stated that the company turnover is Rs.750 cr. in 10 months.Also annouced a housing scheme similar to MAHDA.Biz idea director Sujit Jadhav made tall claims. The payments were initially denied stating that the company has hosted a grand program in The Retreat hence payments will be made after the program. Then several SMS were send stating that the payment schedule is postponed promising a new date. Cheques bounced payments never were received.The Offices in Mumbai are rented (both at Midas and oberoi opp Laxmi industrial area Anderi). BizIdea are scammers. big time scammers. The staff gives answers which are very arrogant or hard to belive.There was a huge issue in the Mumbai office on 2/3/2011.Police was summoned in to handle the crisis.One investor was demanding his money so the director called in police for his protection. whats that investors fault? Why should the director receive the protection instead of he being booked. he promised to pay me on 5th march the staff doesnt know about his whereabouts. All the great business people were great visionaries and highly positive thinkers. They never gave up, and the failures they had to face never discouraged them. But they took it as a stepping ladder towards final success. Some of them will crash with the ladder, and some will reach the top. That is the part of life and role of fate. Life is challenge, face it with courage. The intention of the writer looks to be genuine in terms of introducing and promoting the so-called young Enterprise, but what is shocking is that the author is completely unaware of the business model, its legality in India. Firstly, the industry which the author is referring to, is called as the 'Direct Selling' industry which is governed by the global body - WFDSA, based in Washington DC, USA. This, in turn has about 60 national associations, where Direct Selling is in practice, including India. Indian Direct Selling industry is governed by the Indian Direct Selling Industry (IDSA), based in Delhi (which is a self-governing body and the Government approval is under process). Unfortunately, less than 5% of the bushiness that are working in India are under this umbrella (annual turnover of close to Rs.5000 CR) while 95% of the businesses in India are under the un-organized sector. 1. India does not have a legislation for Direct Selling industry yet. (The news is that 'The Direct Selling Act' under 'Monitoring and Development Authority of Network Marketing (MDAN) will be in force this year!). Once, the legislation comes into force, most of the s-called business concepts, member making drives etc will be a thing of the past. 2. A membership drive is illegal in India. Since there is no authority that monitors such businesses there are many such companies who impress gullible investors (including the writer), who shut their doors and change mobile numbers. 3. The writer, while listing the drawbacks of MLM, clearly shows up how mistaken his knowledge is with regard to such business models. 4. Lets put it this way: You collect Rs.100 and you pay x amount of money as pay out (commission, bonus, incentive.. whatever you call it as). However, since there are over heads for the company which manages such schemes th company can give say a maximum say 50 - 70% only as commissions! However, all these creative ways of making rules as to how the commissions will be paid are known as 'compensation plans'. These plans are nothing but understanding consumer behavior and simple arithmetic! 5. Most of the comp-plans are a time bomb. Binary compensation plan is a proven plan worldover (eg: USANA), but the way they are running in India is shocking! Most of them promise more than what they can actually pay. I have no doubt that the intention of the writer is genuine. I, by no means, say that the company owners are fraud. However, the managements understanding about the complex industry o Direct Selling looks very shallow and inadequate! The efforts are honest but there are a hell lot of loopholes - legally and in terms of arithmetic. I request Mangalorean.com to do a follow up story of the same company every 6 months and update its readers.